One of the toughest parts about building a website is the changing nature of the internet. And by changing, I mean the kind of progressive churning seen only in boiling water and the subatomic fabric of spacetime. Hence, a new domain for my creative writing blogs. Originally, I held to a very strict ideal - I wanted all my blogs to be hosted on my own personal site, www.12writingworkshopsonline.com. Now, the name is long, I'll admit - it's very search-engine friendly, though. And there's a certain permanence to paying annual rates for an internet domain which has functional site scripts and free tech support. Actually, GeoCities pages were not at all ignoble - they started the internet revolution which makes my own site possible. The idea of free, unlimited bandwidth for websites is still incredibly new. We take it for granted now, but that's only because technology changes so quickly that we've adjusted our own sense of time to compensate. Ten years ago, Yahoo was trying to charge money for "premium" services to allow GeoCities residents to get more than 4 GB of bandwidth. And now? GeoCities is gone. Which leaves us with a host of new online resources, each one tailored to do something that GeoCities never could: provide your domain of choice. I picked up my first real website in Afghanistan - www.ryanedel.net. It was a nice site to work on, but Yahoo didn't offer much in the way of script support, so the site couldn't expand. It had no feedback forms, no online course software, no hope of installing a blog platform or, better still, a Member's Forum (and believe me, I tried). This led to www.12writingworkshopsonline.com - my specially-chosen Search Engine Optimized creative writing domain. And then the gods truly smiled upon the project: I discovered FTP publishing on Blogger. Not only could I type my blogs in this easy, (relatively) hassle-free format, but I could post them on my own domain, reaping the benefits of SEO. Little did I know how little I knew. It turns out that blogging with Blogger means you don't have to really worry about SEO - your blog posts go straight to Google anyway, which gives you immediate search ranking. It might not be great search ranking, but it is immediate. Second, SEO can't save you unless other sites link to your own. And this is tricky. If you want a high ranking in the search engines, you need a good page rank. And to get that, you need to convince the sites with a real page rank to recognize your piddly start-up. And if your site isn't big enough for recognition, then your page rank won't go up much, and the vicious cycle of diminishing returns begins to gnaw on your soul. Blogger, to a certain degree, offers a touch of security when your site is caught in the limbo between "established but not yet established." It ensures Google recognition, which is something you can't get from WordPress alone. And I've noticed that my Blogger blogs really do appear in search engines - they usually outperform my static pages (except for my index page - which is of course linked to all my Blogger posts). Which means that my loyalty to Blogger - and search engine recognition - now trumps my own brand-name loyalty. 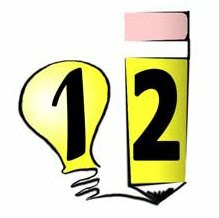 I've sold out my SEO-friendly domain in favor of something memorable and Blogger-based: www.12writing.com. Is it the right approach? I don't know yet. I'm still working on so many aspects of the site that it's impossible to tell what will finally take off. But this much I do know - the standard assumptions are always changing. SEO, two years ago, was all the rage. And it's still important, yes, but are keywords enough to overcome Twitter and Facebook? What good is a wonderful video if it's not linked to YouTube? That's right - everything changed again. All those "dumb little services" I ignored have now become the social centers of the internet world. Through Facebook, I've rediscovered friends I haven't seen in years. With YouTube, I'm learning so much more about the internet than I could from just reading and guessing. It isn't so much that the internet is changing, or even just that it's becoming more complicated - it's become better. It's growing more sophisticated. It really is crawling its way into our lives at every level. And if not for this shameless desire to promote myself, I would have never realized. I would have been left in the dust of my own "that's just a gimmick" attitude. There are the best online resources with which your teachers can give you a better service in your writing section. Improve your section of learning with this section of http://www.thesisghostwriter.com/about-us/ and contact us with any problem whenever you want to do. That's good.Your blog looking very organized and quite informative as well.Good blogs are still available,good to see this.I always recommend http://www.pediatricfellowship.com/pediatrics-personal-statement-services/pediatric-endocrinology-fellowship-personal-statement/ for fellowship.Thanks. Good site, Now and then we have a tendency to overlook some scholarly by memory things in instruction. Furthermore, its reason is our low memory. Consequently we tend to http://www.medicalfellowship.net/fhm-personal-statement-tips/ site for the capacity of information of your composition. I always wanted to be a professional writer and this post has proved to be a blessing for me, but not just this via this found a link http://www.paragraphchecker.com/ which made it more easy for me to get rid of plag content.